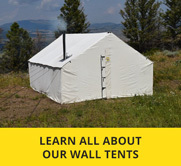 Montana Canvas wall tent storage pouch keeps your tent organized and your belongings clean and accessible. 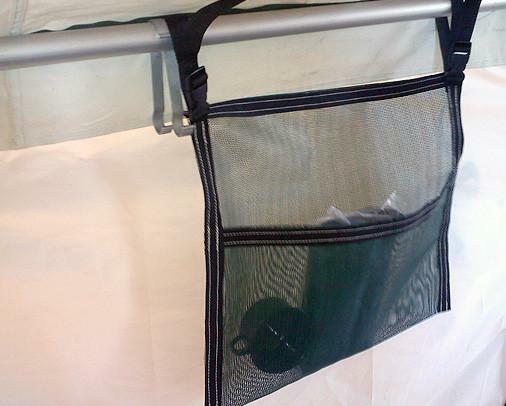 Designed to hang from a free standing tent frame with two adjustable buckle poly straps this storage pouch allows you to attach anywhere along the internal frame for instant storage where you want it. 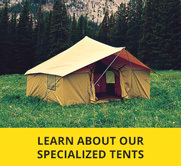 These are great for storing eating utensils, flashlights, car keys, or any other items you might want to keep track of. These pouches are made out of a reinforced vinyl screen mesh for easy cleaning and high visibility of items in the storage pouch. They measure 20” long and the pouch is 11” deep.